Affectionately known by his friends as “”Nano,” Andres Pratts is a fun, creative, and energetic person. He loves working with animals, which is clearly showed by some of his previous jobs, as a dog-walker and a veterinary assistant. He enjoys the arts, and likes to promote social change through his art. Please email him if you would like any further information or to inquire about any of his projects. Take a walk through Karen’s Garden. Learn new types of flowers, fruits, and vegetables while enjoying the vibrant, colorful illustrations of Andres Pratts. Hopefully Karen’s Garden will inspire you to plant a garden of your own and see what grows! This is the first book by author Andrew Kranichfeld. 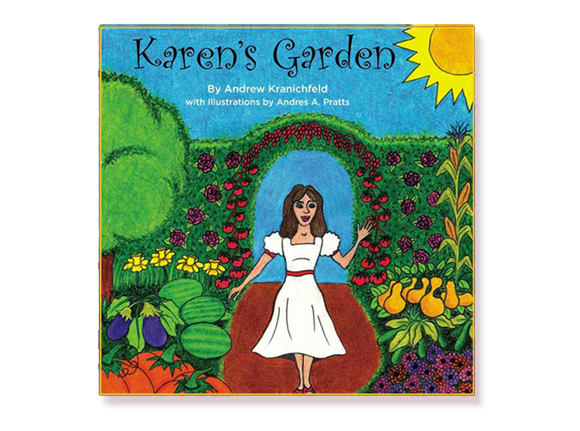 He hopes that Karen’s Garden will encourage children to connect with mother nature through gardening and try some new types of vegetables The book is also a tribute to his late mother, Karen, who was his inspiration for this story. In 2010 Andrew lost his sight and it is also his hope that this book can be an inspiration for others to achieve their goals no matter what their circumstances or limitations. For Oliver, it seems like a normal day working at the Nature Center. Little does he know, an unexpected visitor is about to deliver some shocking news. Oscar the talking turtle explains how humans are causing significant damage to the environment and his animal friends. 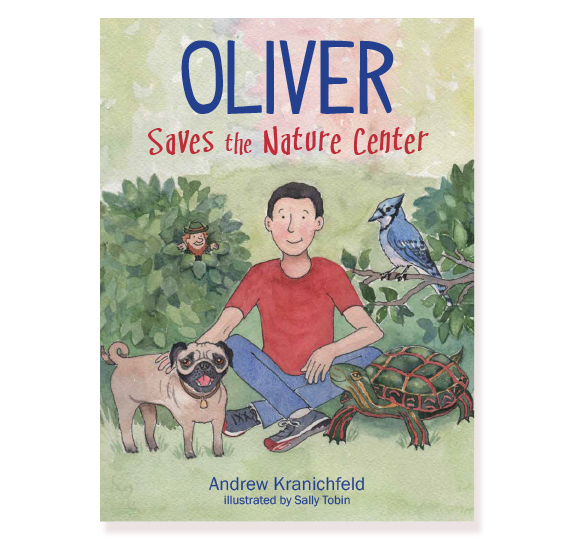 With Oscar’s help, Oliver enlists volunteers from the community, including a pug named Lila, to help clean up on Earth day. Can they protect the Nature Center, or is it too late? Oliver Saves the Nature Center includes a crossword puzzle, word and picture searches, and a glossary of over one hundred words. This book will bring hours of entertainment, fun, and learning. Sally Tobin is a lifelong resident of Rye, New York. She has four children and lives with her husband. She graduated from Mount Holyoke College with a B.A. in art. Since then she has been painting beautiful watercolors for over 25 years. She specializes in house portraits, boats and pets. Her painting have been exhibited at several local libraries. She also always dreamed of illustrating a children’s book, a dream now fulfilled. If you would like further information, please visit her website or email her.